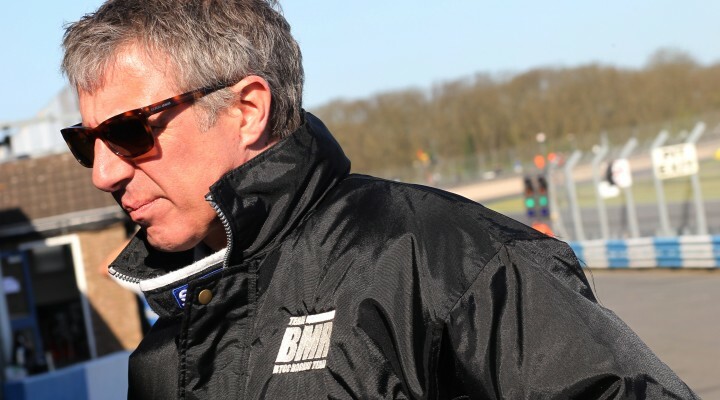 Jason Plato has doubled up by setting the pace in both Dunlop MSA British Touring Car Championship practice sessions at Donington Park today. Plato’s ballast-free VW was clearly the class of the field – nearly half a second quicker than his closest rival – and you would be hard pushed to back against him in qualifying later this afternoon. Those that look most likely to topple the double champion are Gordon Shedden, Andrew Jordan, Colin Turkington and Aron Smith as the top five order in FP2 was an exact repeat of the earlier session. The Scotsman’s lap deposed Jordan’s MG from second whilst the 2013 champion again held off the challenges from VW duo Turkington and Smith. Tom Ingram’s Toyota and Aiden Moffat’s Mercedes made it a young gun trio from sixth to eighth on the time sheets, suggesting the level of competition in the lower end of the top ten is set to be fierce in qualifying. Two drivers who may be content with grid positions inside the top dozen are joint championship leaders Matt Neal and Jack Goff. The heaviest cars on the grid, due to success ballast, performed well during FP2 with Neal’s Honda pipping Goff’s MG6 by just 0.028s. In fact with the exception of Plato the next 15 cars on the grid were covered by just a second. Three drivers who were not part of that top order were Dan Welch, Stewart Lines and Hunter Abbott. Welch’s problematic Proton eventually made it out at the end of the session with the team now hoping for a competitive qualifying session, while Lines’ Toyota retired with signs of a recurring fuel problem. Abbot’s Audi A4 failed to complete any running with the team working hard on the car following the FP1 contact with Goff. An Exocet AlcoSense Racing spokesperson said they were ‘confident’ Hunter would make the all-important action later today. Click here for the classification from FP2. Qualifying will take place at 15:35 and will be streamed live via www.itv.com/btcc.